John Speed (1551/52, July 28, 1629) was an English cartographer, historian and best known mapmaker of the Stuart period. Speed drew historical maps in 1601 and 1627 depicting the invasion of England and Ireland, depictions of the English middle ages, along with those depicting the current time, with rough originals but appealing, colourful final versions of his maps. His atlas The Theatre of the Empire of Great Britaine was published in 1611 and 1612, and contained the first set of individual county maps of England and Wales besides maps of Ireland and a general map of Scotland. 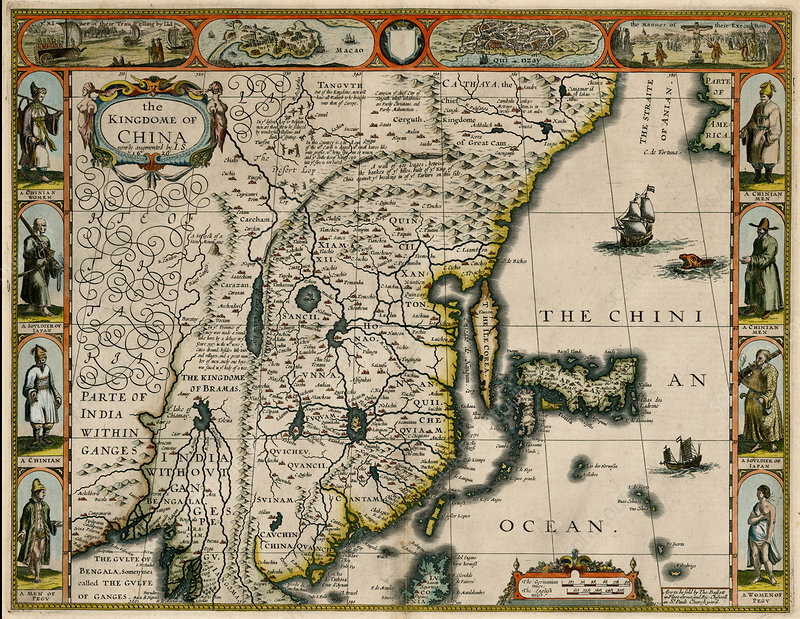 In 1627, two years before his death, Speed published Prospect of the Most Famous Parts of the World which was the first world atlas produced by an Englishman. His maps became the basis for world maps until at least the mid-18th century, with his maps reprinted many times, and serving as a major contribution to British topography for years to come.